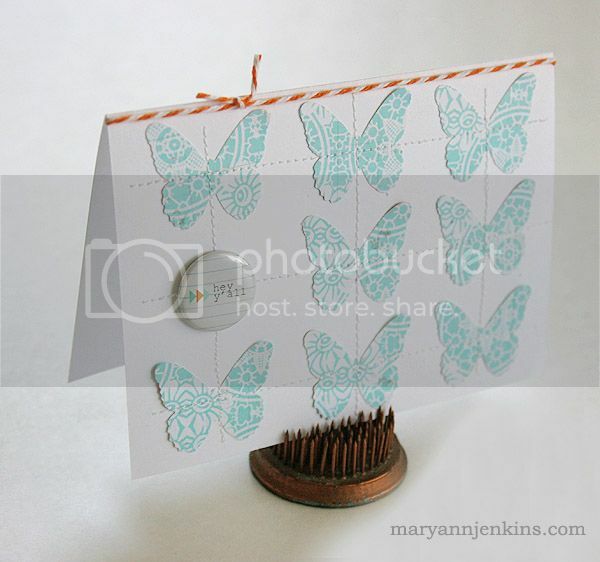 I have some cards to share today that were all made with the June add-on kit from the Paper Bakery. 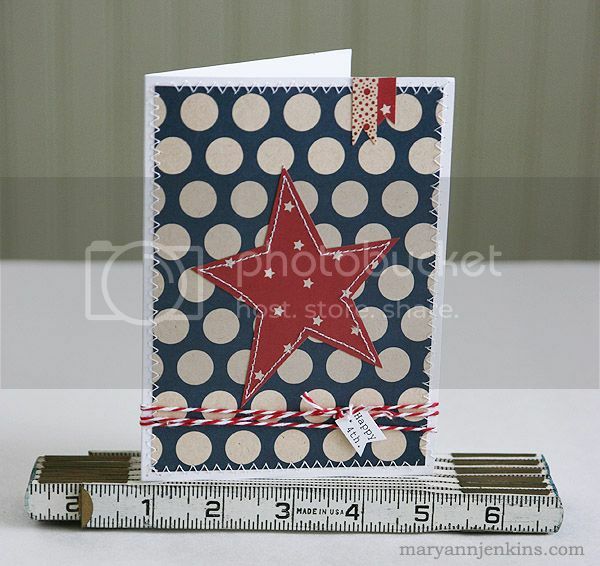 You all know I am a scrapbooker at heart, but once in awhile a card is fun too! I'm working at my local scrapbook store for a few days this week while the owners are on vacation and today is the crop day/night. It's always fun to see old friends and customers, some that I've known for 10 years from the days when I worked at another scrapbook store that has since closed. 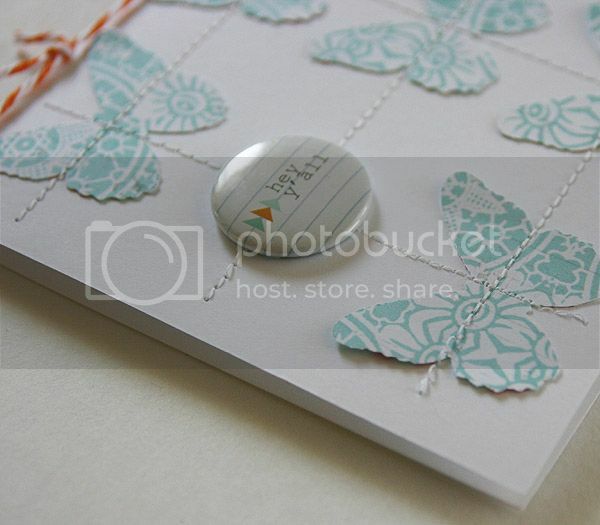 It's amazing how you can make a dear friend, and it all started with a piece of scrapbook paper. I know what you mean- I'm also a scrapper at heart but cards sometimes satisfy that creative need when you've got a shorter amount of time! Your cards are very classy, clean and beautiful. Love them. 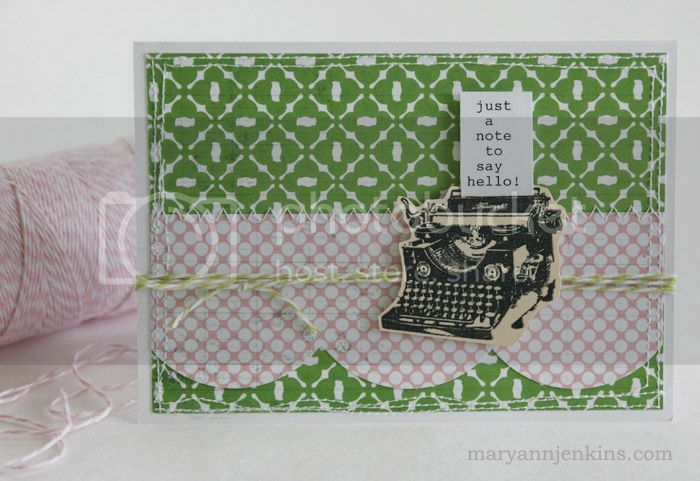 These are so fresh and fun, I especially love card #2! Very cute cards!! I love the combination of patterns. 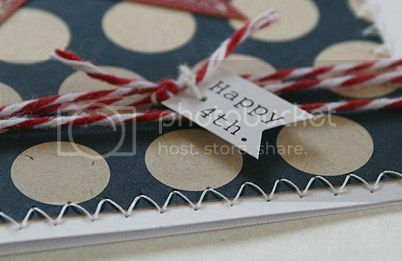 I really struggle making cards, and would like to be able to make cards like these. Great bunch of cards! How cool that you HAVE an LSS in your area! Very cute cards. 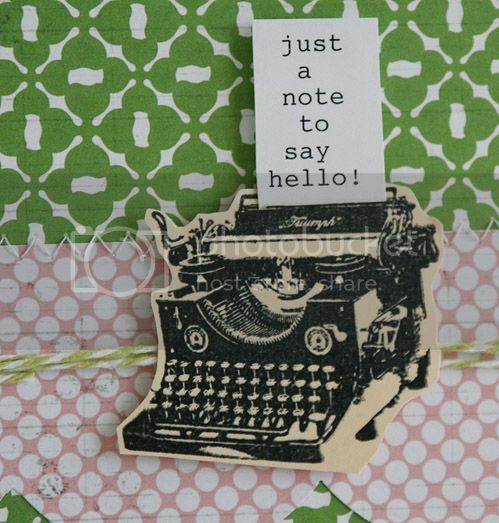 I especially like the vintage typewriter.